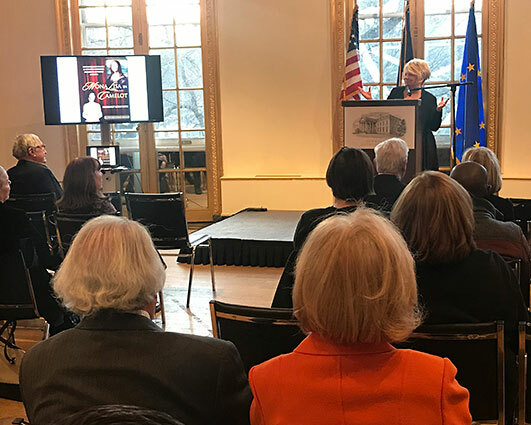 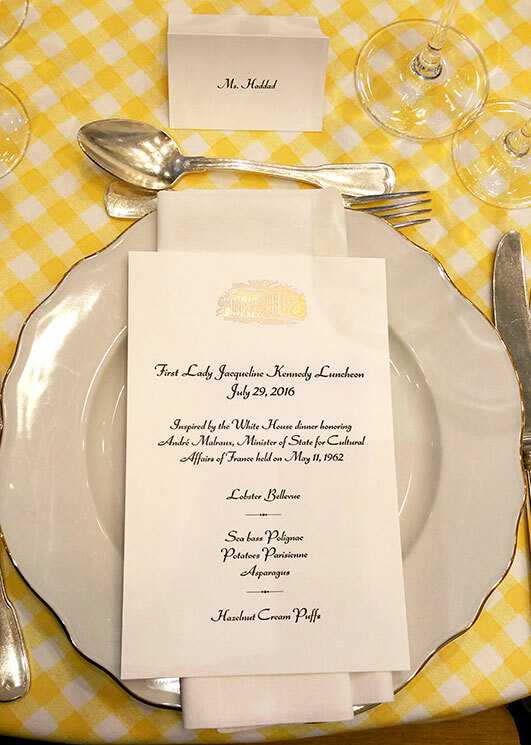 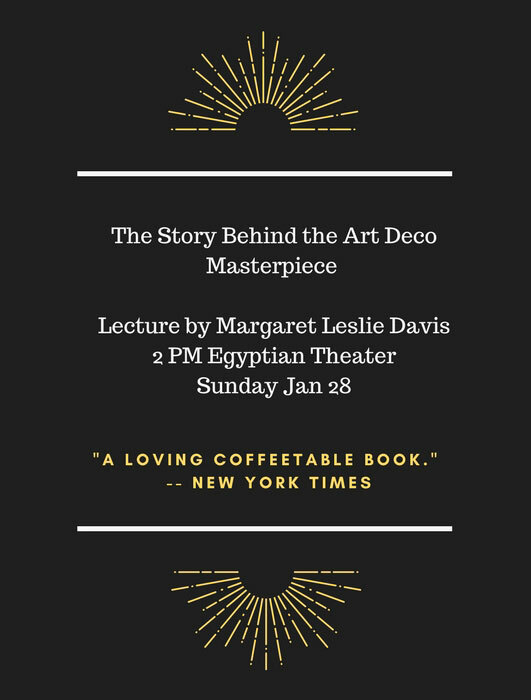 An experienced and sought-after public speaker, Margaret Leslie Davis has delivered addresses at many prestigious forums including the New York Public Library, the White House Historical Association and the National Gallery of Art. 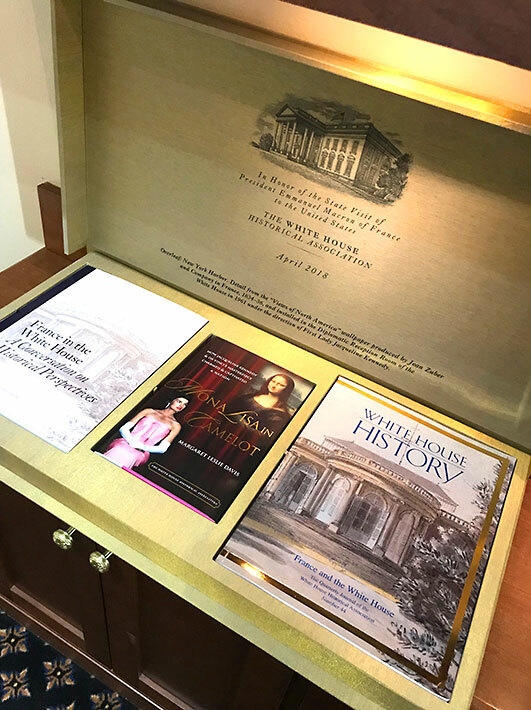 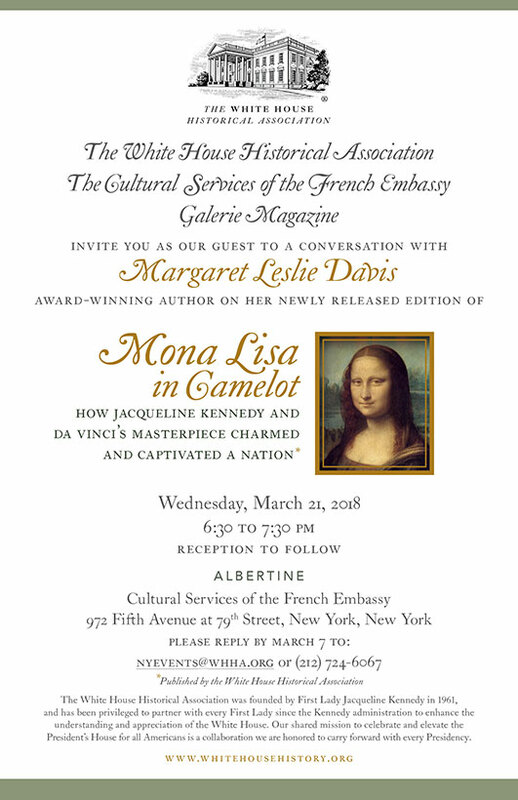 The new edition of Mona Lisa in Camelot was part of the official gift to French President Emmanuel Macron during his state visit in April, 2018. 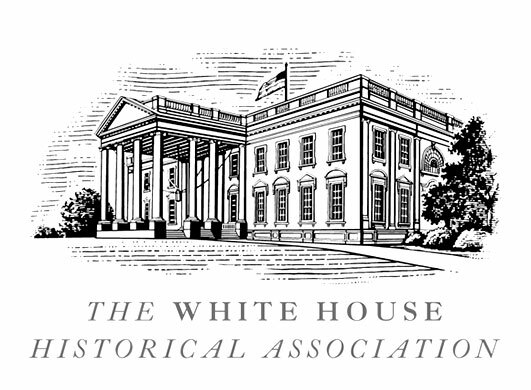 Photograph courtesy of the White House Historical Association.